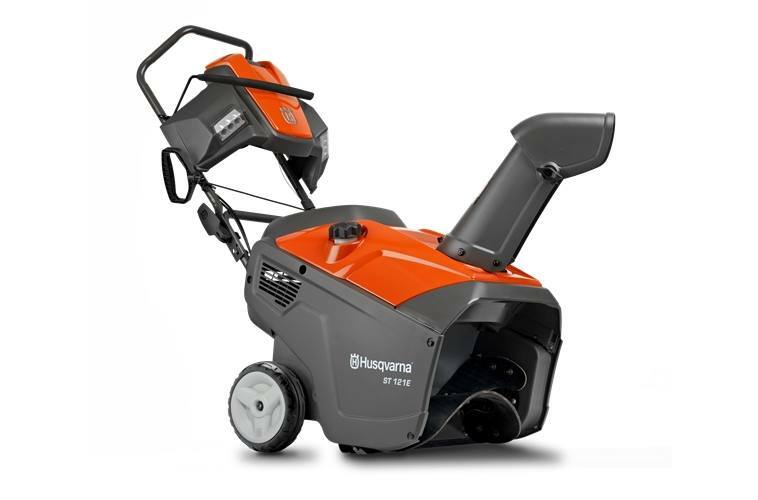 Compact and high-performing single stage snow thrower for drive ways and paths. Very easy to maneuver and an innovative remote chute rotator facilitates the direction of the snow. Strong SnowKing engine with electric start and a working width of 21 inches. Efficient LED lighting enables work in early mornings and late nights. Tire size (rear): 8 x 2 in. Tire size, single axle: 8 x 1.75 in.